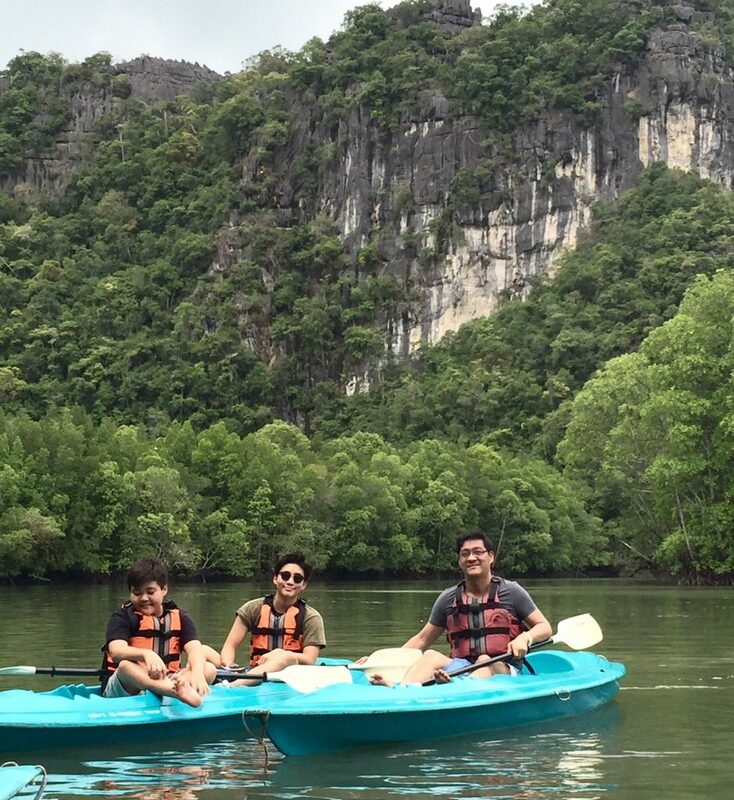 My boys and I were fortunate to take a beautiful kayak adventure through the GeoPark mangrove forest in Langkawi, Malaysia. Our naturalist guide pointed out an interesting adaptation to the salty environment that we would never have intuited on our own. The mangrove trees absorb excess salt then “choose” certain leaves in which to concentrate that salt. As a result, they turn yellow and drop off. We witnessed this multiple times and it was amazing to see that all the leaves were green except the designated sacrificial leaves. This sort of preferential treatment is at the core of stem cell behavior. There are two things that are typical of “stemness”. The first is immortality conferred by telomere re-lengthening, allowing the master copy queen bee stem cell to be immortal. The second is asymmetric division, which means she strives to make a perfect copy of herself and a less than perfect daughter. 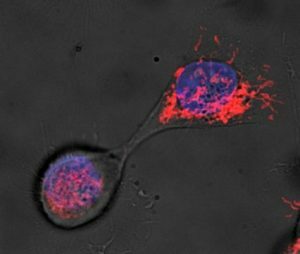 The asymmetry doesn’t just involve epigenetic switches that determine gene expression but extends to the organelles. As show in this elegant study, the same sort of preferential treatment that occurs in mangrove leaves occurs every time a mother divides into two daughters. The old mitochondria are given to the more differentiated daughter while the newer, healthier ones are given to the designated stem cell (the next generation of perfect mother). See this blog on the subject for more info. I get asked a lot about NAD+ enhancers like Basis, a supplement made product by Elysium Health. In my estimation, mitochondria are simple, expendable, and functional levers for cell senescence. 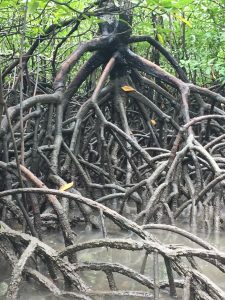 They are the leaves, not the trunk or the “intelligence” of the mangrove trees adaptations. In terms of apoptosis, the oxidative damage mitochondria produced in aged cells occurs has been misinterpreted as causal. An entire generation of research has focused on the oxidative damage leaking from mitochondria as causally related when in fact the driver appears to be genetic damage from replicative senescence causing mitochondria to leak and destroy the aging cell from within. What if the oxidation seen in aging cells was misinterpreted and there is absolutely no threat from oxidation any more than a threat from a votive candle burning down a stone cathedral? 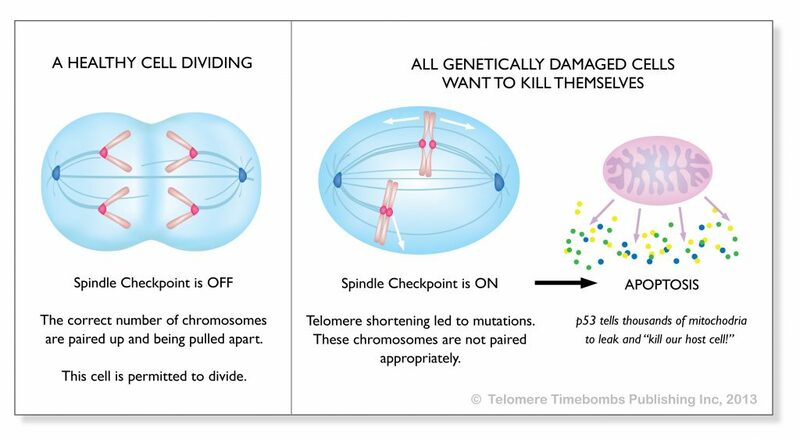 It is the genetic damage from telomere shortening that triggers cell suicide and causes the mitochondria to leak, on command. It is the aged cell trying to kill itself like a self-immolating monk using p53. The problem is not fire or gasoline; the cell is using the mitochondria to light a fire from within in response to genetic damage! Helping mitochondrial metabolism is akin to studying smoke evacuators for the prevention of arson. Nobel Prizes, MIT, Harvard, big money, silicon valley mavens- I don’t care how much credibility you line up on one side of an argument, if you have the basic premise wrong, you can only succeed in making money, not alleviating disease. You can line up all the firepower you want on the side of the sun revolving around the earth and you can get nearly everyone to buy in; but that doesn’t change the veracity of the premise. I maintain that the driver of mitochondrial health is telomere/genetic in origin, as evidenced by this study showing when p16 senescence is impaired, no drop of NAD+ levels occurs. The little mitochondria, some older and some better, are not the drivers of aging. They are simple, disposable, and dependent upon more fundamental pathways related to cell integrity. Where there’s smoke, there’s fire. 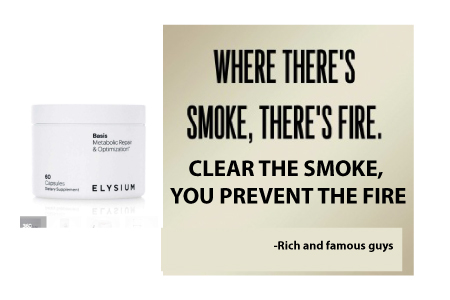 Clear the smoke and you prevent the fire. Find credible people to endorse the smoke evacuators as fire prevention and you can cure arson. Simple. Logical. Possibly false. That is the story of mitochondrial NAD+ enhancers in a nutshell. Even if they can make damaged cells live longer, why would you want to? Let those suicidal, damaged, aging stem cells burn to the ground and start over with better stem cells and newer mitochondria. I have been taking TA-65 for about 5 years, and I enjoy reading Dr. Park’s writings on telomeres and telomerase. With regard to mitochondria, I suggest listening to the YouTube videos of Dr. Jack Kruse. The findings / writings of Quantum Biology, in my view, need to be added to the total picture of body health / healing.